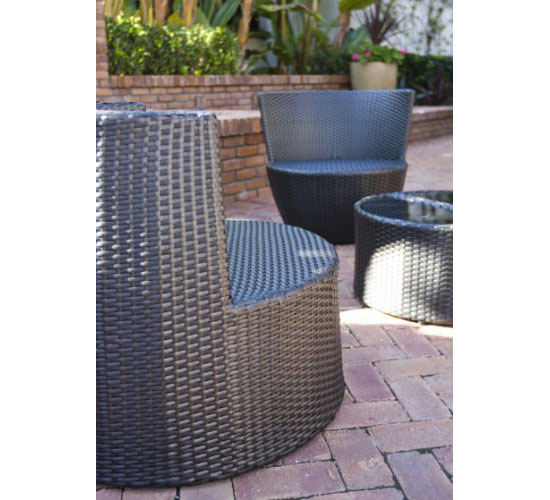 Outdoor gathering is always fun especially if partying with family and friends and with the right furniture pieces similar to Six Piece Stackable All Weather Modern Outdoor Balcony Patio Furniture Set. 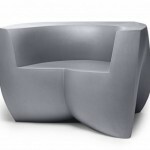 As its name suggests, the furniture set is designed to be resistant to all weather condition allowing you to enjoy its beauty all year round. 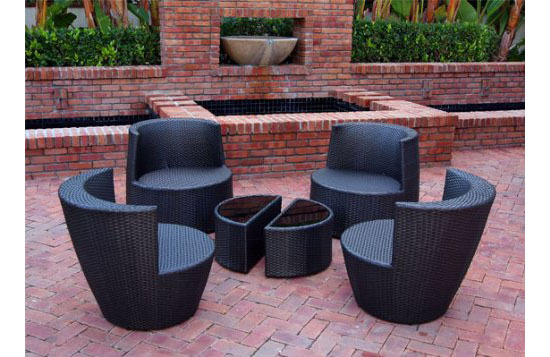 However, if you want to retain the beauty and prolong the life of your outdoor furniture set, this six piece outdoor patio furniture is stackable making it easy for you to store the furniture indoor when not in use and protect them from too much sun exposure and moist. 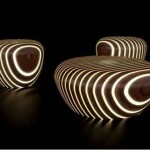 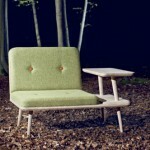 Included in the six-piece furniture set are four chairs, fours seat cushions and two half-circle tables. 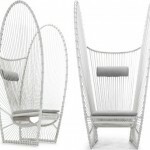 When stacked, the set stands 78 inches tall and it looks stylish enough to become one of your modern and sleek home decors. 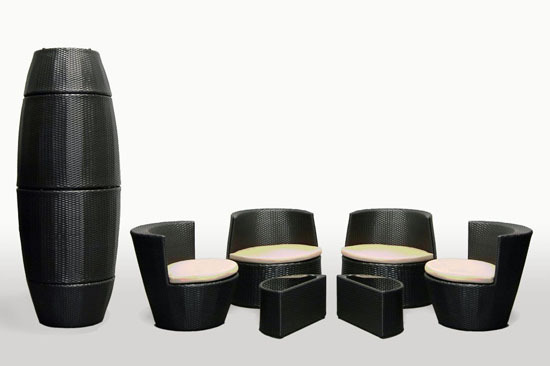 The set carries elegance at its finest because other than the classy dark brown wicker resin and tan color cushions, the two half-circle tables are flush mounted with tampered glass. 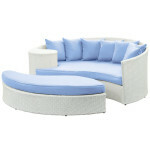 If you do not like the idea of stacking the furniture set pieces and want it readily available anytime when needed, you can just let the furniture pieces set outdoors with less worries because the set is made of weatherproof PE rattan and aluminum frame while the tan colored cushions on the other hand are splash proof. 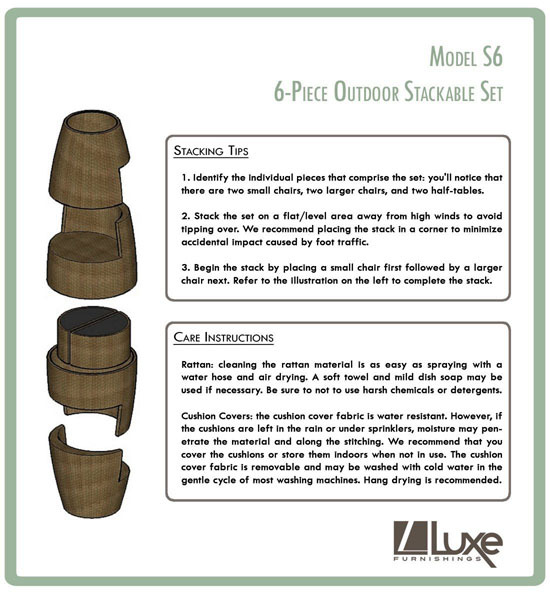 Click Here to learn more about Six Piece Stackable All Weather Modern Outdoor Balcony Patio Furniture Set and start enjoying outdoor fun with friends and family whilst keeping your landscape design at its best.